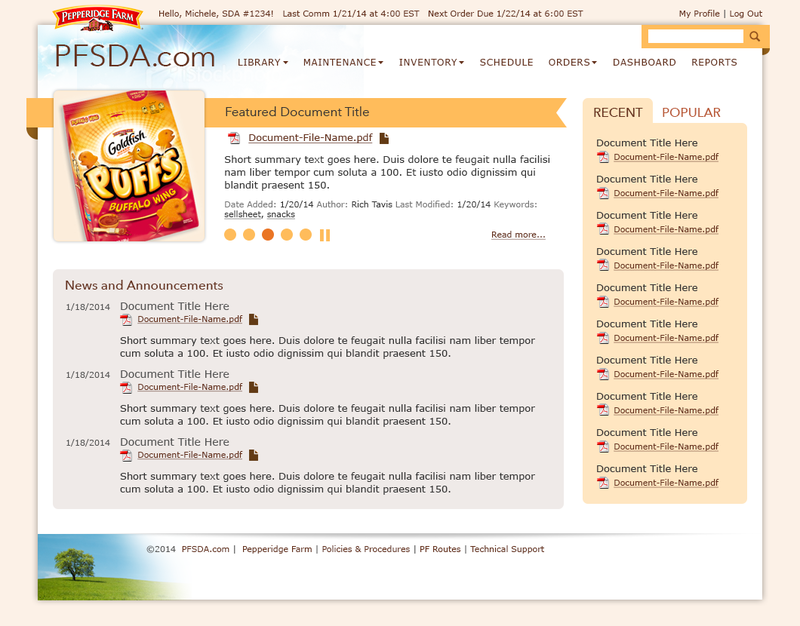 One of the major projects I worked on while at Synteractive was designing and implementing a site for Pepperidge Farm's network of distributors. I led the effort to obtain requirements and develop wireframes through a series of in-person and online meetings, then created the detailed mockups and responsive HTML/CSS to pass off to our developers. 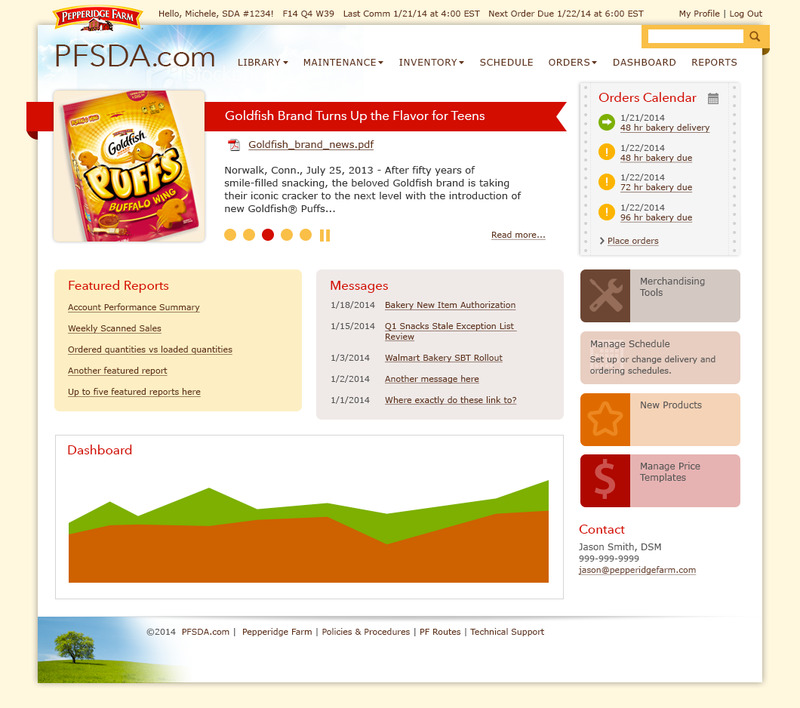 The site was built on SharePoint 2013, with our developers utilizing web apps and a lot of custom code to get the functionality that the client required.